As more and more nations work towards divesting their financial systems of dollars... either through gold repatriation, selling of treasury reserves, or via bi-lateral trade agreements, the less power Washington is able to hold over these countries. 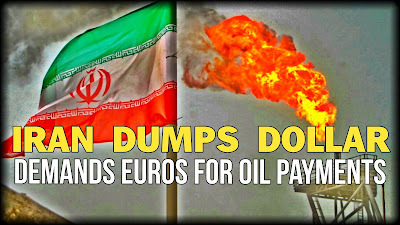 And now it appears that Iran may be at the point where economic sanctions imposed against them are for all intents and purposes moot as they have officially dumped the dollar for the Euro standard. The governor of Iran’s central bank (CBI) Valiollah Seif said that Supreme Leader Ayatollah Ali Khamenei had welcomed his suggestion of replacing the dollar with the euro in foreign trade, as the “dollar has no place in our transactions today.” The new policy could reportedly encourage government bodies and firms linked to the state to increase their use of the euro at the expense of the American currency. 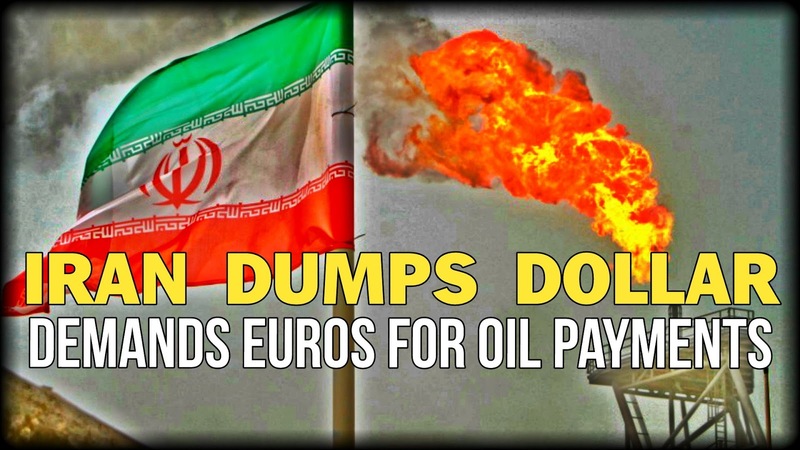 Iran is the third nation to either fully or in part remove itself from the long-standing Petrodollar system. And as America's influence in the Middle East continues to wane, coupled with China's new Yuan-denominated oil futures market, it is only a matter of time before the Petrodollar standard completely ceases to exist, and the U.S. loses its ability to use dollar hegemony as a weapon in its foreign policies.